Nintendo had plenty of chances to learn from the failures of the Wii U. Among many hard lessons was the company's need to keep a steady supply of third-party and indie titles. 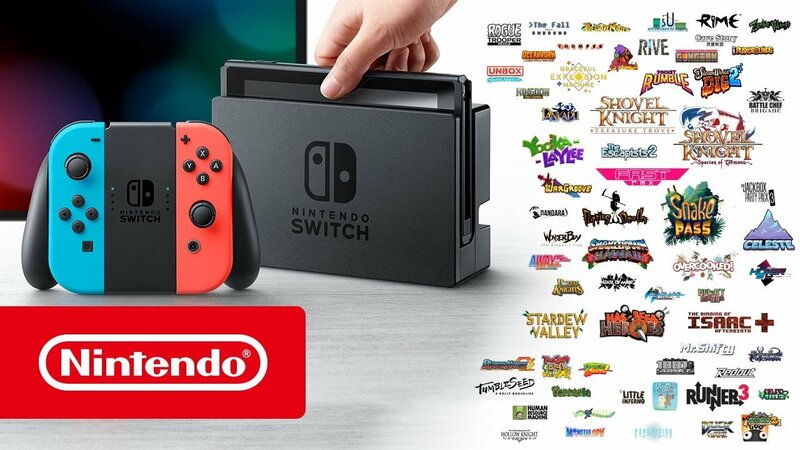 First-party Nintendo titles might drive any Nintendo platform, but players tend to move on after they've gotten their fill of Zelda and Mario titles, so keeping the Switch flush with new content will be a key part of keeping the console relevant in the current console generation. Fortunately, Nintendo has indie titles both familiar and new coming to the Switch, and they're set to showcase some of them in the company's upcoming Nindies Showcase. As revealed through Nintendo's official Twitter account, the company is set to kick off the latest Nindies this Wednesday at 10 a.m. Pacific time. Though no specific titles were mentioned, players will still be able to get their first looks at what Big N's third party release lineup will look like throughout the rest of the year. This isn't the first time that Nintendo has provided a streaming showcase for their upcoming titles: the company has become well-known for their Nintendo Direct presentations, both for their rapid-fire news content as well as for providing a general perspective on the company's latest endeavors. The Nindies are similar, but focus on smaller titles that players will be able to check out on the Switch as well as Nintendo 3DS and 2DS systems. The company announced 17 different games for the Switch with their last Nindies showcase, and though we can't be sure the next one will include so many reveals, players are doubtless still excited. Players and Nintendo fans alike can catch the Nindies showcase this Wednesday by heading over to the live page on the official Nintendo website. Keep your Nintendo Switch protected and available on-hand with some of the durable and eye-catching cases we've featured on our list of the Best Nintendo Switch Cases.